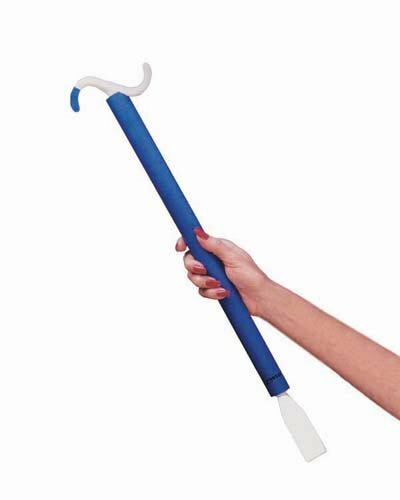 (SEE AVAILABILITY ABOVE FOR ESTIMATED DELIVERY) - Dress EZ Dressing Stick - 30" long - Dress EZ Dressing Stick - Combines two functions in one aid "" dressing stick & shoehorn. One end has a high - strength plastic push - pull S - hook that retrieves clothing or other items. The other end is a long - handled shoehorn. Thick, easy to hold, closed - cell foam grip covers entire shaft. Measures 26" long. Weighs 5 oz. Latex free. - Rolyan products are internationally licensed & manufactured for home & clinical use. Most of their products offer a lifetime warranty.